Home » General Articles » What Are Seizure Clusters? Many patients experiencing Epilepsy might have clusters of seizures known as ‘Seizure Clusters. Most of these clusters are quite puzzling to remember. These types of seizures start and stop in clusters, like one after another. These are quite common in children with a certain syndrome of epilepsy, Lennox Gastaut Syndrome appear differently depends on child to child. The LGS is a very crucial Epilepsy syndrome because of the seizures confrontation to cure with regular anti-epileptic medication and the serious co-morbidities. Though, managing this can be quite challenging as those who are experiencing this can have unique set of problems like seizures in cluster, different etiology and others. When this seizure occur, it is vital to count time, so you have precise information when you report them to the neurology provider. It is important to discuss seizure action plan with your Neurology provider and family when long or cluster seizures occur. As every child is different from other, so it is important that you have a proper plan to know how to approach clusters of seizures. In some conditions, emergency medication of seizures such as intranasal midazolam or rectal diazepam should be used in order to stop the cluster. For long seizures that last over 5 minutes without a break, an emergency medication must be prescribed. As the child grows, the correct dose should be given. Probably not! It is important to take into consideration that having clusters of seizures does not mean that the epilepsy of child is worsening. This can be changed with time and clustering can either come or go as well. Moreover, it is crucial to share all the information with your Neurologist about your child’s seizures look like, how she/he does before, before and after seizures and how long they last. Prescribed Seizure medication is must when your child is suffering from clusters of seizures. However, the biggest risk of long seizure or cluster of seizures is when people forget or do not take anti-seizure medication. Additionally, some people have triggers for their seizures and in case if these can be prevented then the side effects of seizures are less. The biggest trigger of seizure is when people do not take sufficient sleep, so it is highly recommended that children must get 8-12 hours sleep every night, depending on their age. During the early signs of seizures, consult a doctor before it gets worse and severe because just like any other ailments, the clusters of the seizures can become dangerous if not treated on time. 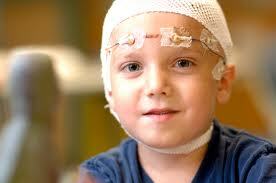 So, it is important to consult a good neurologist who can help your child to overcome this problem safely. Ensure to consult a pro for your child’s treatment and medication. A good neurologist will give proper guidance and proper medications. Moreover, he/she can precisely check the history and the main reason of the Epilepsy and also provide the best treatment to keep a check on the Seizure Clusters. Also read our previous post on What is Benign Rolandic Epilepsy and share your comments and suggestions below.